Will ‘Kapu’ Votes Get Divided Between Chandrababu Naidu And Pawan Kalyan In Andhra Pradesh Elections? When Chandrababu Naidu’s TDP swept to power in Andhra Pradesh in 2014, the Kapu community played a significant role in his victory. Having promised the Kapus, a forward community that is powerful in regions like East Godavari, West Godavari, Visakhapatnam and Vizianagaram, 10% quota reservations in education and employment, they rallied behind Naidu. The TDP, which had then allied with the BJP, won the state election comfortably, securing 102 out of the 175 Assembly seats. The 2019 election, however, appears to be an uphill task for the TDP. 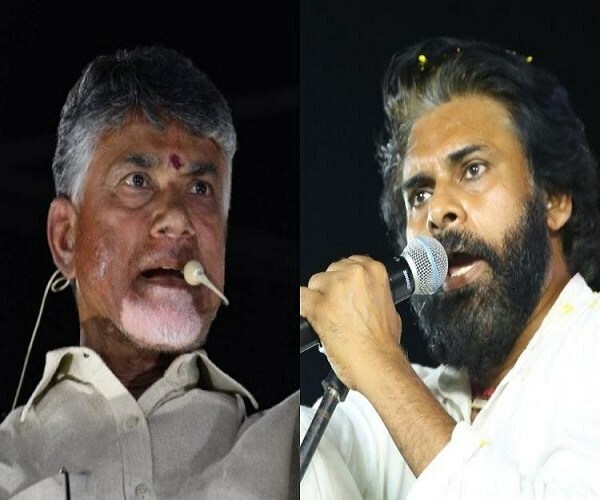 Besides facing anti-incumbency, it appears several Kapus are now rallying behind a leader from their community –actor Pawan Kalyan who is making his electoral debut with his Jana Sena Party. He had in 2014 supported the TDP alliance, but has now chosen to take the electoral plunge with his party tying up with the BSP and the Left for the upcoming Assembly and Lok Sabha Elections. This shift in allegiance is on account of anti-incumbency and the TDP’s unfulfilled promise of guaranteeing reservation for the Kapu community. In 2016, Kapu leaders resorted to state-wide violence and agitation for several months, forcing the TDP government to pass a cabinet resolution by including the community under Other Backward Classes ‘F’ category. It went on to pass the quota bill in 2017 providing 5% reservations to the Kapu community. However, this proposal seeking constitutional amendment was rejected by the Centre for violating the Supreme Court’s verdict on reservations. Fearing that the Kapus would shift their loyalties in the 2019 Elections, and in a bid to retain their vote-bank CM Chandrababu Naidu in February tabled another Bill guaranteeing a sub-quota of 5% reservations to the Kapus under 10% quota for the Economically Backward Classes (EBC). This was passed by the Andhra Assembly, however, the legality of it is still under scrutiny. According to Kapu leaders, there isn’t a common consensus among the Kapus. Vasireddy says that though a few sections are supporting the TDP for giving leaders from their community plum posts like Deputy Chief Minister for Nimmakayala Chinarajappa and for fighting for their cause, a majority are supporting Pawan Kalyan. “At least 70% Kapus are with Jana Sena this time,” Vasireddy claims. According to Vasireddy, the votes from the community would either go to Jana Sena Party or TDP, but not the YSRCP, as its party president YS Jagan Mohan Reddy openly announced that he would not make any empty promise which falls under the Centre’s domain. The TDP, however, remains confident that the splitting of Kapu votes would benefit the ruling party. “The community divide will actually help. The anti-incumbency votes and those supporting Pawan will vote for Jana Sena Party, and a large vote base will remain with us, so the TDP will still win,” says, E Peddi Reddy, a TDP leader. Reddy also says that only 10 % of any community would be strongly supporting their community and the rest particularly those falling under the Below Poverty Line (BPL) would be looking for schemes which would benefit them. Besides the caste equations, Reddy also says that the TDP will emerge victorious and be re-elected for a second consecutive term because of the understanding that the state is being built after bifurcation and Jagan being elected would disrupt the plans. ALSO READ: Why 'Elections' Becomes An Environmental Nightmare? Political analyst T Lakshminarayana also observes that a community does not vote en masse for a singular party or leader and their votes will be divided. “All parties have Kapu leaders, including YSRCP. Kapus will vote for Jana Sena wherever they are in large numbers. In other places where the community isn’t numerically strong, the JSP candidates won’t stand a chance a s Kapus won’t vote for them,” he says. Next articleWhy Nizamabad LS Constituency In Telangana Forced To Use On ‘Ballot Vote’?